Creed is an extremely well-established fragrance brand that produces high-end scents for men. They are based in Paris, but their products are available in various locations around the world. Their scents are ideal for men who are looking for a very classic, masculine fragrance. Creed products are of very good quality and are beloved by celebrities and other noted figures around the world. With so many scents to choose from, it can be difficult to know which one is the best fit for you. In this article, we’ll cover the best Creed colognes currently on the market and how to choose one for your needs. Creed makes a variety of different colognes that you can wear for different occasions. When shopping, it can be difficult to know which one would be the best fit for you. This classic eau de parfum has been on the market for over 20 years and is ideal for wear in daytime or casual situations. The top notes are bergamot and mandarin, with middle notes of green tea and black currant. The base notes are musk, sandalwood, Galbanum, and petit grain. The scent is designed to be very fresh and was inspired by the idea of skiing in the Swiss Alps. It can be worn by both sexes, so you may even find that your girlfriend wants to steal it sometimes! This fragrance is very versatile and is appreciated by a wide variety of different people. Although it has a musky base, the top and middle notes evoke freshness and sweetness, so it’s never too heavy. 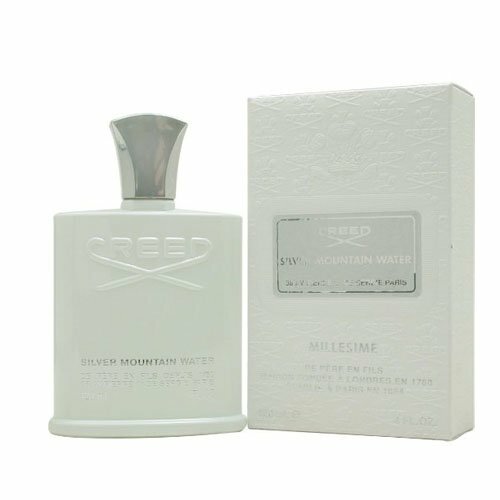 It has a very slight metallic aspect, which may be off-putting to some, but it really grounds the scent and makes it feel more masculine. Green Irish Tweed is one of the most iconic scents of all time, and has a reputation for being a very classic gentleman’s scent. 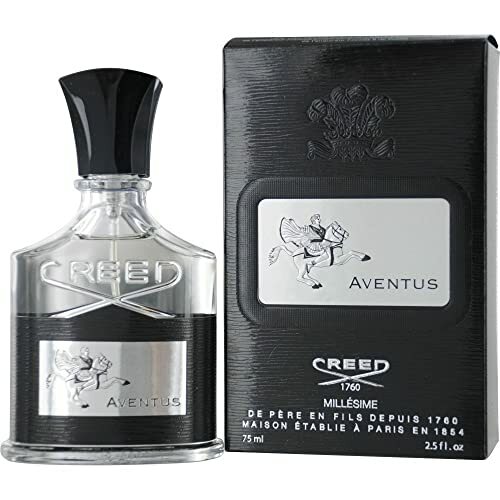 It is also one of Creed’s longest-running scents, having been on the market for over 30 years. It is recommended for a date night or other big occasions, but could also be worn lightly as a daytime cologne. The top notes are iris and lemon verbena, with middle notes of violet leaves and base notes of ambergris and sandalwood. The scent gives an overall impression of being very green, and is quite deep and powerful. The depth and power of this scent makes it ideal for any situation where you might want to make a strong impression. It reads as masculine in a subtle way, which makes it quite appealing to women. Iconic and masculine without being too "out there"
This is one of Creed’s newer fragrances, and it has an appealing and sweet scent that is ideal for everything from a big party to date night to a work event. In particular, this scent is great for attracting other people to you, as it has a variety of notes that are known to be universally appealing. The top notes are blackcurrant, bergamot, apple, and pineapple. The middle notes are rose, patchouli, jasmine, and dry birch. The base notes are musk, oak moss, ambergris, and vanilla. The complexity of this fragrance helps it last longer, and it continues to smell fresh several hours after you apply it. Overall, this fragrance is very fresh and appealing to most people. It works well for a variety of situations because the notes in it are very sweet and fruity, with a nice base to ground it. If you are looking for an extremely unique or overtly masculine scent, this may not be the best choice for you. The biggest complaint about this fragrance is that it smells more generic than some of Creed's other options. Many people wonder why they should invest in a great cologne. There are tons of benefits to having a signature scent. The biggest benefit is that it gives you the impression of being very pulled-together and stylish. A great scent will really complete any outfit and is ideal for everything from a big board meeting to a date night. A flattering fragrance will also make you more attractive to the people around you and help you develop deeper relationships. Over time, others around you may even start to associate your signature scent with your personality and things they’ve done with you, as scent is a very emotional and nostalgic sense. It’s important to invest in a good quality cologne. Cheap colognes can be heavy, overpowering, and off-putting, while a finely crafted option will be potent without being distracting. It can be difficult to know which fragrances will be a good fit for you, particularly if you are ordering online. If you can, you should always go into a retailer to smell the cologne before buying it. Creed in particular is carried by their boutiques in Paris, New York, London, Dubai, and Kuwait. They also sell their fragrances in high end retailers such as Saks, Neiman Marcus, and Nordstroms, just to name a few. When smelling a fragrance, be sure to test it out on your skin, as your hormones and your own natural scent can alter the way it smells on you. You can get an idea of whether or not you’ll like a fragrance based on the notes in it. Colognes have a top note, middle notes, and base notes. Middle and base notes are stronger and reveal themselves as the top notes wear away. After looking at a few different colognes, you’ll start to get an idea of which notes you like the best. You should take into account how these notes mix with your natural scent. You’ll also want to take into account the quality of the cologne. In general, Creed produces fragrances that are of great quality, so any cologne you purchase from them will meet their standards as a brand. You should look for colognes that have a high concentration, which means that you’ll only need to use a bit each day and they’ll last for a long time. You’ll also want to look for fragrances that use high-quality ingredients and notes, instead of synthetic notes and chemicals. The Creed brand has the reputation for being a very high-end, sought-after cologne brand, and you’re likely wondering what sets it apart from more affordable colognes on the market. Although Creed is very expensive and luxurious, it has rich notes that are hand-crafted in Paris by the Creed family. They even create exclusive perfumes for public figures and celebrities. The best way to choose a good fragrance for your needs is by smelling them in person. Creed makes very high quality colognes, and by smelling all of them at an approved retailer, you’ll likely be able to get an idea of which one best fits your taste and lifestyle.